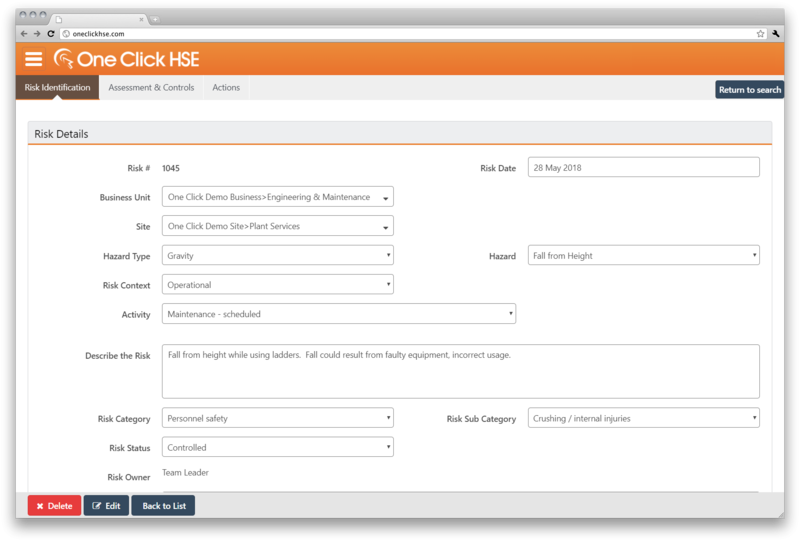 One Click HSE Risk Management helps you manage the risks faced by your staff and visitors. Designed from the ground up to be easy to use, it allows you to manage the risks that your people are exposed to. 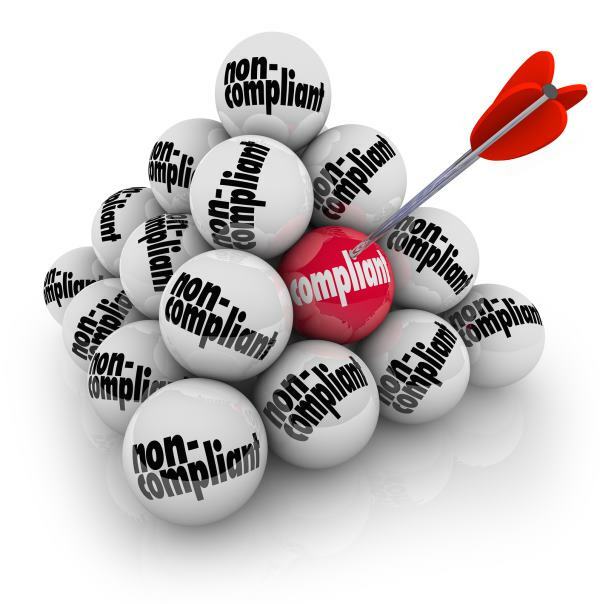 Identify, assess and put controls in place to eliminate or reduce the risks to an acceptable level. Recording and managing actions through to closure ensures nothing is forgotten or slips through the cracks. By setting review dates, you can ensure risks and controls are reviewed as required. Once identified, risks should be recorded to help with their assessment, implementation of controls and eventual review. 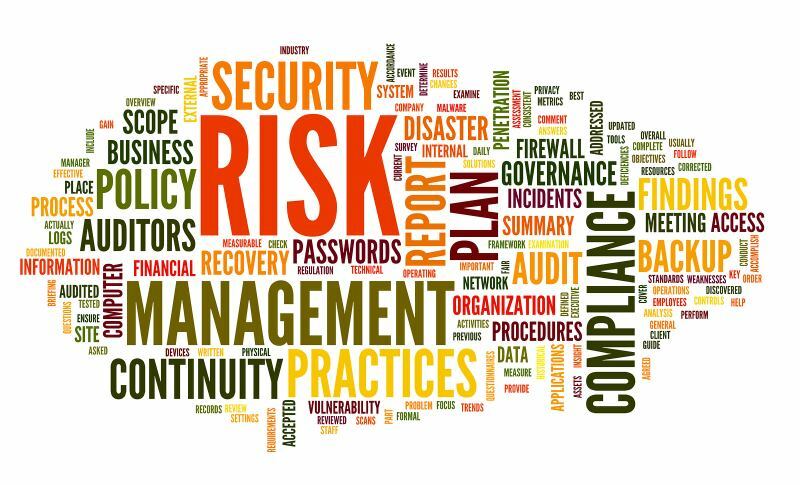 Once risks are identified, you must to determine the current risk level (inherent risk), what controls should be put in place in order to reduce the impact of the hazards, then calculate the risk once all controls have been implemented (residual risk). Once a decision has been made regarding what controls should be identified, you need to implement an action plan in order to ensure the controls are effectively implemented. 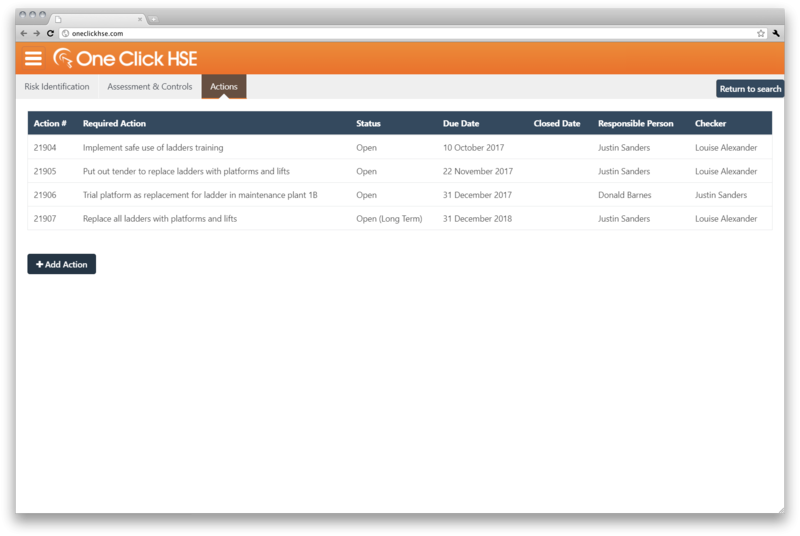 One Click HSE allows you to easily add actions and assign them to the relevant people. Once completed, the person assigned as the action checker can double check that the action was implemented correctly. The innovative action management system allows you to see at a glance what actions have been completed, which are in progress and which have not been started yet. As action progresses, simply drag an action from once status to another to update progress. 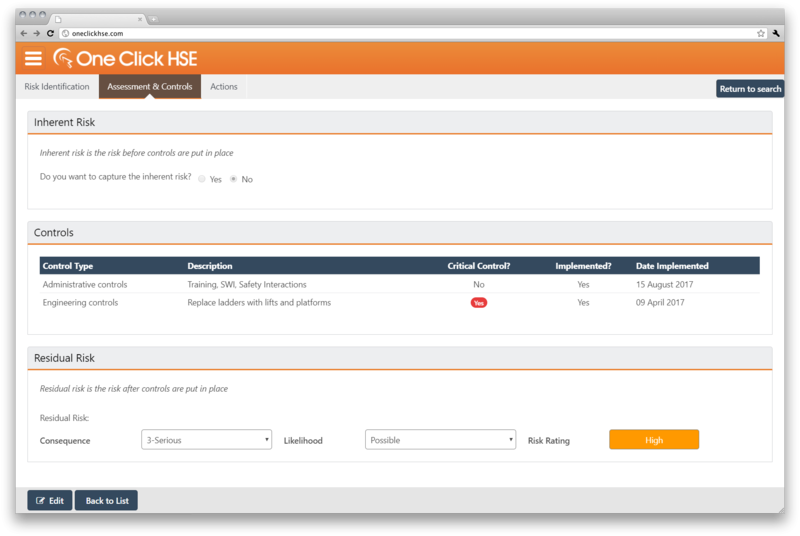 One Click HSE makes it simple to ensure all risks are reviewed on a regular basis to ensure that all controls are working as expected. By setting review dates, you can rest assured that you won’t forget this crucial task. 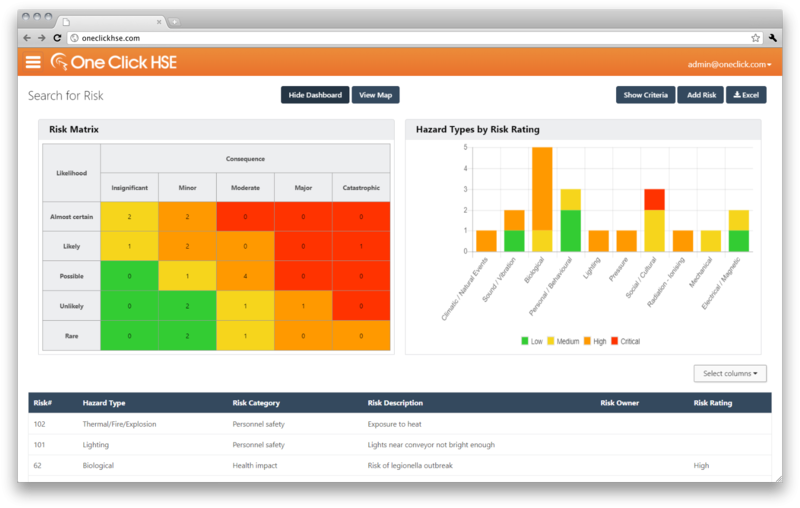 By using the One Click HSE dashboards and reports, you can analyse the risk profile of your business. Help prevent incidents and injuries by focusing on those areas that are most likely to cause harm or damage to equipment, reputation or profits.